Jim Reynolds made waves recently with his up-and-down free solo of Fitz Roy in Patagonia. 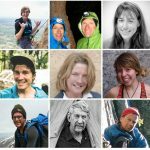 We got the whole, brilliant story from Reynolds, and we checked in with some of the best alpinists, big-wall climbers, soloists and Patagonia veterans to get their thoughts on Reynolds’ accomplishment, its style, and where it fits into the long and storied history of Patagonian solos. The Fitz Roy massif. Photo: Tad McCrea. Most everyone had packed up for the season down in El Chaltén by mid March. 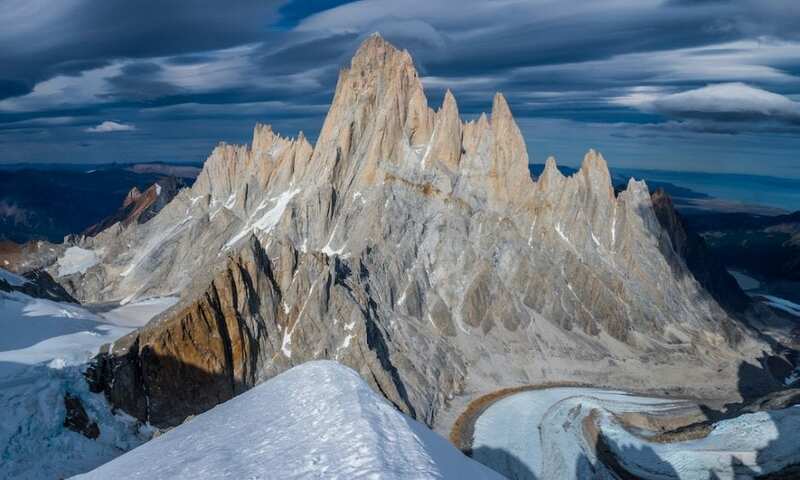 Summer in the southern hemisphere was all but over, and with it the best chances for good climbing weather on the Patagonian spires—known to be bombarded by capricious storms even in the balmier months. But on March 21, the autumnal equinox in the southern half of the world, Jim Reynolds, a 25-year-old YOSAR member wrapping up his first season in Argentine Patagonia, took advantage of an unheard of weather window—“March had more good weather than you could possibly climb in,” he said—and started up Fitz Roy. He had a rack and a rope, but he didn’t use them. In about 15 hours 30 minutes, Reynolds ventured all the way to the top of the 11,171-foot summit of Fitz Roy via the Afanassieff route (VI 5.10c, 5,000 feet), and all the way back down, free soloing the entire thing in both directions. 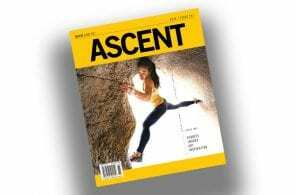 While Reynolds is not the first person to have free-soloed Fitz Roy—that distinction belongs to the late Dean Potter, via the Supercanaleta (VI 5.10 WI4) in 2002—he is the first to also descend the climb in a pure free-solo style. After Exupery and Rafael Juarez, he rested in El Chaltén for a couple of days and then headed straight back out to try Fitz Roy. Aside from his roommates, no one truly knew his plans. Part way up the Afanassieff—which he’d never climbed before; he’d never climbed anything on Fitz Roy for that matter—he decided to turn back. “I was so depleted from the former climbs” on Exupery and Rafael Juarez, he said. Still, he downclimbed all but one pitch toward the bottom, which he rappelled. Reynolds though he might never get another chance—maybe not this season, maybe not ever—but the splitter weather continued, and on March 21 he marched towards Fitz Roy for round two. By this time, virtually the whole town knew what he was up to. JIm Reynolds approches the summit of Aguja Guillamet with his eye on the prize. El Chaltén, Argentine Patagonia, January 2019. Photo:: Tad McCrea. Unphased, he popped in his headphones, pressed play on his soloing music of choice—Enslaved, a death-metal band—and started climbing. Big solos have become a prize in Patagonia. The past decade has seen a number of notable solo ascents—though not all free—of Patagonia’s most iconic peaks. 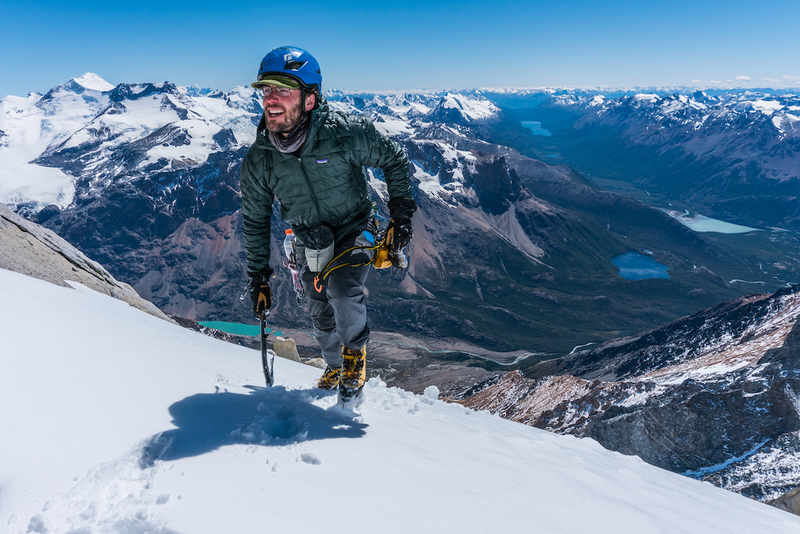 Colin Haley became the first person to solo Cerro Standhardt in 2010, and went on to solo Torre Egger in 2016. Markus Pucher made the first free solo of Cerro Torre in 2013, and the first winter solo of Aguja Guilluimet in 2017. 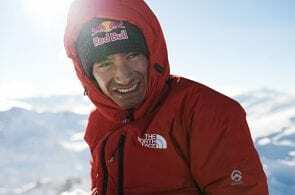 The late Marc-André Leclerc soloed all three of the major Torres: Cerro Torre and Aguja Standhardt in 2015, and Torre Egger in 2016. Brette Harrington did the first free solo of Chiaro di Luna, on Aguja Saint-Exupery in 2015. So what to make of Reynolds’ accomplishment in the context of past free-solo achievements and Patagonian ascents? In what ways was it ground-breaking and cutting-edge? 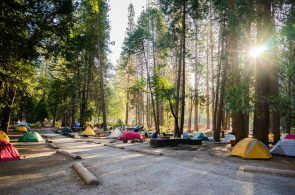 Which aspects of it deserve more or less attention than they have been given thus far in the outdoor media? We asked several of the most qualified authorities on the subject for their thoughts on Reynolds’ big climb. 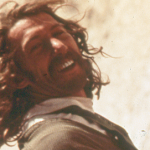 In pulling off these three ascents Jim has shown true mastery. The videos that he made during the various climbs show him comfortable and at ease in the terrain, to the point of being goofy and casual. This relaxed attitude in the face of enormous challenges seems to be one of his key strengths. Also impressive is the fact that he concocted on his own the idea of climbing up and down peaks without rappelling, unaware that Paul Preuss, “the father of style,” had advocated and practiced this style one hundred years ago. It takes a vanguardist mindset to come up with such an idea, and to believe it can be applied to such big formations. Intuitively it makes sense that on a jagged peak the ascent should not finish once the top is reached, and that instead of rappelling one would choose to down-climb. Should Jim’s ascents be called be first free ascent of these peaks? It seems unlikely that down-climbing will become a thing, but the provocation is a valuable contribution. What I am less sure about is whether the free-solo aspect of Jim’s ascents is a valuable contribution. While I would never question his choices—we are all free to decide our fate, I do question whether we, as a community, should continue to celebrate and hold in high regard such levels of risk taking. Is it reasonable to use risk as yard stick to measure performance? Jim’s mastery is unquestionable, but whether this level of risk taking is or not the best expression of the art should be up for discussion. I don’t have a ton to say about Jim’s solos—I haven’t climbed any of those routes so I don’t know exactly what they entail. It’s certainly bold to go up on Fitz Roy by yourself. Just hiking into those mountains alone must be super intimidating. Anyway, respect to Jim, it’s certainly an impressive day in the mountains. Seems like he had an incredible experience. Of course the most badass solo ascent of all time on Chaltén (the real name for Fitz Roy) was Renato Casarotto’s first ascent, solo, of the Goretta Pillar. However, in terms of alpine-style solo ascents, Jim’s is certainly among the top. The Afanassieff is probably the overall most difficult route yet soloed in alpine-style on Chaltén, although it was a very logical choice; no individual section is very difficult, but it is very long, making it a perfect objective for a soloist, where moving ropeless is a big advantage in terms of pace. The other routes previously soloed on Chaltén in alpine-style are the French Route, the Californian Route, and the Supercanaleta, all similar in technical difficulty to the Afanassieff, but with less total climbing. While it is definitely very impressive and thought-provoking that Jim down-climbed the route, to me it is more signifiant overall that he made the first solo ascent of the route than that he down-climbed the route afterwards. Down-climbing is usually faster and more efficient than rappelling (except when rappelling a clean face on bolted anchors! ), so for someone with a high-enough rock climbing ability to be able to do so safely, it is a very logical choice. Put in the context of time, I think Jim’s first solo ascent can be considered comparable to the other alpine-style first-solo ascents of routes on Chaltén: the Californian Route by Thomas Bubendorfer in 1986, the French Route by Christoph Hainz in 1994, and the Supercanaleta by Dean Potter in 2002. 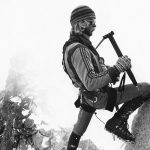 Although there are no photos (causing some to be skeptical), assuming the claim is true, probably the most badass alpine-style solo ascent of Chaltén was by Yasushi Yamanoi in 1990, when he soloed the Californian Route in winter… back when Patagonian winters were more consistently frigid! In any case, Jim’s climb is really awesome, especially since it was his first season in Patagonia, and especially because he did it at the very end of the summer, when most climbers had gone home, and he had the mountain all to himself. It certainly sounds very scary to me to imagine free-solo down-climbing the steep, and usually wet, moves at the start of the offwidth pitch! I actually haven’t read the details of Jim’s solo. Sounds pretty out there though. The guy is definitely pushing it. Although in a good weather window I think soloing Fitz Roy seems relatively reasonable for a bold mountain climber. 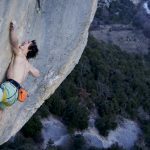 A bit of an evolution for Patagonia but not really out of line what has been done in the past by climbers like Marc-André and Dean Potter. I think it’s the kind of thing that will probably become relatively common in the near future while soloing El Cap probably will not. Not to take anything away from Jim though. The guy is a total badass. And I love his vibe and attitude. Just trying to find perspective. One more thought: The idea of being on top of Fitzroy all alone and without a harness sounds pretty darn exciting. What an adventure! I’ve known Jim for years and have, for a long time now, been impressed by his soloing in California (the High Sierra and Yosemite). His solos in Patagonia, from my perspective, are super impressive, and also very much in line with Jim’s climbing trajectory. He loves soloing, and moving fast in the mountains. It is up to the individual climber to judge their own margins and risk assessments, and in my opinion Jim is super capable, and has his head in the right place. I met Jim down there this year and I saw a guy who was fired up for the mountains… It was his first time in Patagonia and he said for him it was important not just to go try for a great thing in Patagonia—he wanted to be there! Feel Patagonia! This mountain range is so great and and it’s a playground for all our desire. Jim went there and he fell in love… we had some asado together and he really became part of the inner circle of Chaltén´s Stonemonkeys. He started first with his amazing solo of Chiara di Luna and I knew what was in his mind! Afanassieff is the way to go on Fitz—beside Cerro Torre it is the peak of Patagonia. What he did, free-solo up and down is bold… but more importantly for 16 hours he was a part of the spirit of Fitz Roy. And if you are part of the mountain, the mountain will protect you. 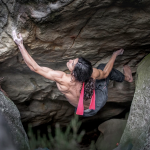 These are the stories that make climbing so great. For me, it’s less important to say that his solo was a big achievement—it was! I want to say how crazy beautiful the climb was—it was more than just a climb without rope! I think it is very bold to climb up and down. And for sure it is a fast time, which is key in Patagonia! The only thing is, as soon as you have a rope and slings plus one carabiner, it is not free solo. It is solo! As you always have the chance to fix yourself, which mentally makes a big difference. And free solo—to me that’s climbing up and down without anything. But I am super impressed by Jim’s achievement! It makes me even more keen to go back to Patagonia next year, with my own ideas.